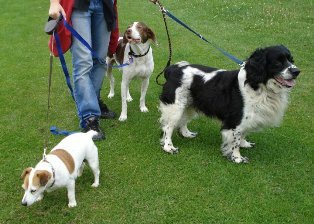 Since January 2009, our small team of dog lovers have provided dog owners with a quality dog walking service in Forty Hall. 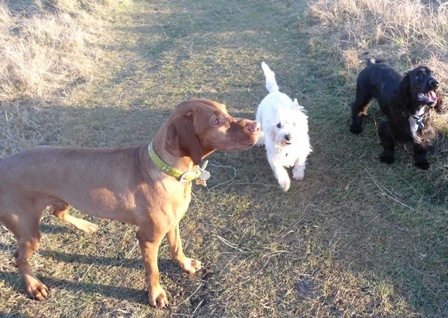 During the day we have multiple dog walking slots to suit your dogs schedule. Groups of no more than 4 friendly dogs per handler (less if large / excitable dogs) will be walked at Forty Hall. Your dog will become familiar with their regular walking group as we are not an agency, we are a team of 4 passionate dog lovers! We will come to your home, pick up your dog, go for a lovely walk and return your dog relaxed and content. Feel free to join us on one of our walks! Meet your dogs new buddies, meet the team and admire our DEFRA standard dog vans! dog, walker, forty hall, enfield, walking, service, pet, care, carer, insured, local, en1, en2, en3. Dog walking service covering forty hall in enfield north london.